Our stylish showrooms across two floors house over 300 of the most beautiful bridal gowns, bridesmaid dresses, prom dresses and occasionwear as well as an extensive range of exquisite accessories. We have helped hundreds of brides choose the perfect wedding dress to create the look and feel they desire. 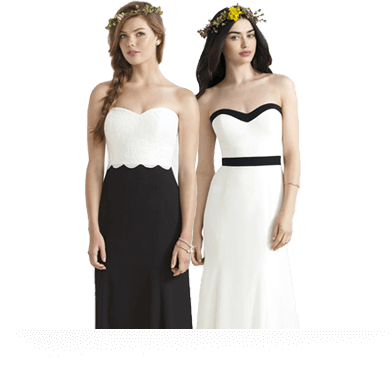 Our affordable wedding dresses are available in a variety of styles, sizes and designers. The prom dresses in our collection are designed to allow you to express your own unique spirit. Upon entering our boutique, your bridal experience begins. You will have an immediate sense that you are being cared for by knowledgeable consultants who will make you feel welcome and relaxed within our elegant and intimate surroundings.